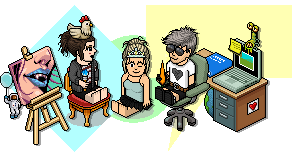 Way waaaaay back, Habbo once did a competition that allowed one lucky user to be the Hotel Manager for a short period! IF Habbo were to do this again in the near distant future, and it was only for 24 hours what would you do in this time should you win it? Less focus on silly little rares and room buying designs? Give yourself every rare possible? Give yourself a small loan of one million thrones? 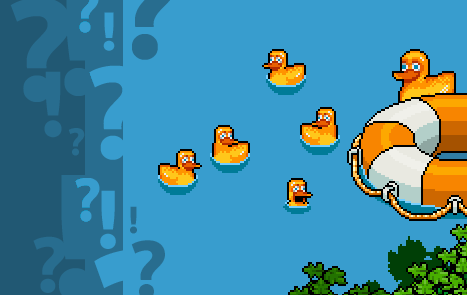 Everyone can have 5 ducks... because I'm obviously super generous. I'd make builders club cheaper because why not? I'd give myself an oversized scarf, THE SANDALS W/ SOCKS, and a bunch of other clothing items that I've wanted. I'd also release all kinds of crazy looking LTDs because why not!!! I would bring back Battle ball and Snow storm.. and have a monthly leaderboard like before, offering out badges for those who stayed in the top 3 for more than 1 month. I miss the old style BB. The user created ones just don't have the same wow factor to them. Hmm who knows, I would probably give myself every rare aha. Perhaps hire more in game moderation like the good old days and advertise habbo again? ?